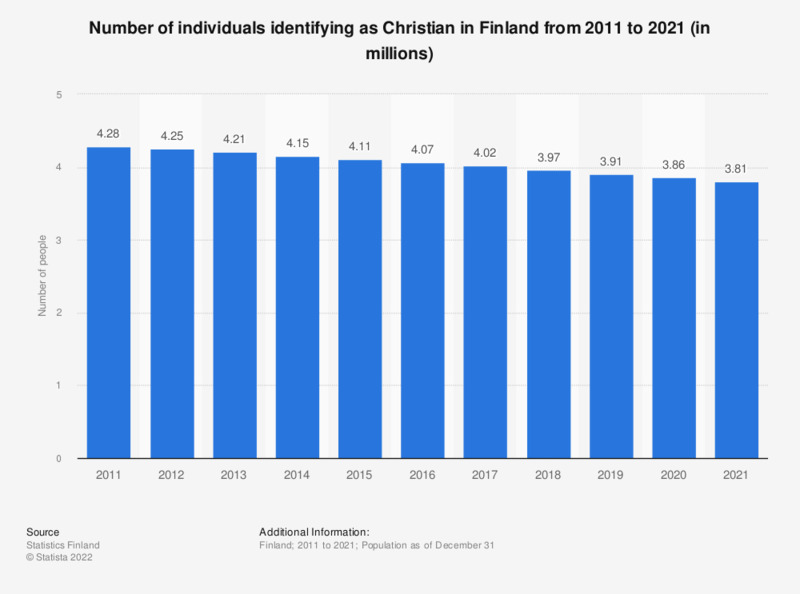 This statistic shows the annual number of individuals identifying as Christian in Finland from 2007 to 2017. During the period under survey, the number of individuals identifying as Christian has steadily declined. In 2017, a little over four million individuals belonged to Christian communities.